Field goose hunting within our unguided private land waterfowl organization is over working farms of cut crop stubble mostly of corn and soybean. 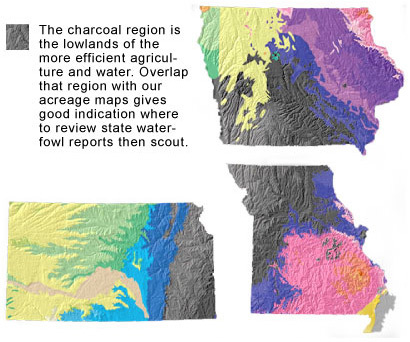 Central Lowlands is the name ascribed to the region of southern Iowa, eastern Kansas and northern Missouri shown as the charcoal color on these landform maps. This is the area comprising the Lower Missouri River Basin. A region of fertile soil and good rainfall allowing for intensive corn farming. Soybeans are used as a rotational crop between corn plantings. Corn depletes soil of nitrogen and soybean a legume puts nitrogen back into the soil. Dry land crops of wheat and milo are more prevalent in central and western Kansas. Many hunt web sites use the term midwest or central midwest as reference to the Central Lowlands region. That is a misnomer. The central midwest geography includes western Kansas, Nebraska and all of Iowa. The Central Lowlands region is a smaller subset of that larger geographic region. Anyone familiar with this entire area if having a choice would choose the Lower Missouri River Basin of the Central Lowlands for where to hunt. That includes this Association that does have land in western Kansas. We would discourage Association hunters from that area and encourage their hunts within the locality that will offer the best potential for a successful hunt. 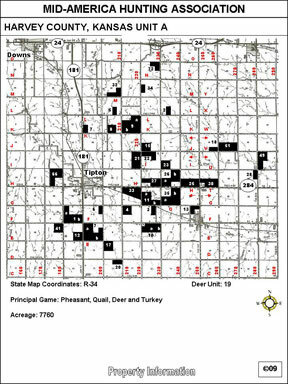 The advantage Mid-America Hunting Association brings to field goose hunting is our expanse of private land acreage within farming regions were 45 to 55% of the land use overall is in grain farming. Specifically eastern Kansas, northern Missouri and southern Iowa. Within these regions more so than other Association lease land locations the agricultural land use is near or at the upper 55% range. More crop fields makes for more field goose hunting opportunity. This distribution of acreage allows the self guided hunter to scout out where the geese are, set up mobile blinds, put out his spread, hunt, then once the geese get wise move on to the next spot. Our ability to change location is no small point. 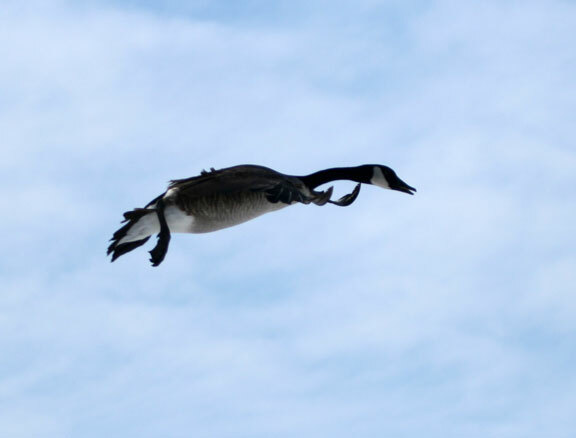 That combined with a wealth of land resource for field goose hunting is commonly a novelty amongst goose hunters. Most that inquire of our hunts do so looking for a field planted specifically for geese and a pit blind. That limited type resource is readily available in many northern Missouri locations and particularly so around the larger refuges. These outfitters give strong advertisements of the Missouri Department of Conservation waterfowl reports of tens and hundreds of thousands of ducks and geese. And, that is a consequence as well. Most locals will agree that it does not take long for waterfowl around these refuges to become spread, call and gun shy at first shot. This combined with the last decade of long layover during migration makes for a changed local flyway. 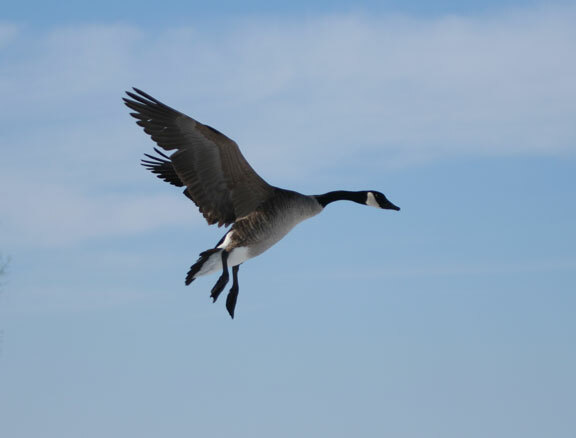 The common pattern that quickly develops is the waterfowl shelters on the large water expanses of these refuges such as the well known ones of Squaw Creek and Swan Lake. Come the morning flight huge rafts of geese lift off, fly high and over the many small acreage outfitters surrounding the refuge and feed on distant fields. These outfitters with limited acreage and fixed pit blinds are left waiting for the migration flow to resume hoping it brings in a flight of dumb birds. As the geese are nomadic so must the hunter to be successful. The value of Mid-America Hunting Association’s large private land resource and the field goose hunter employing mobile blinds and spread gives us this capability. 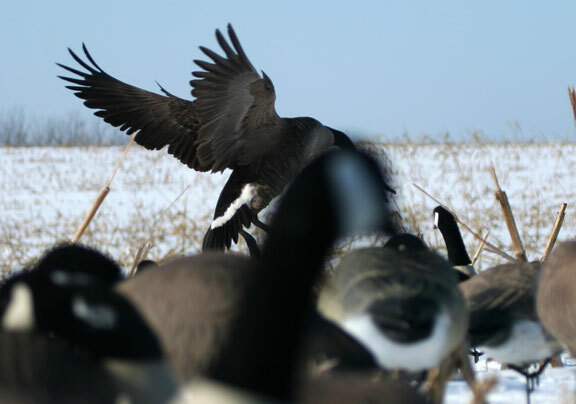 When we offers recommendations of where to scout for field goose hunting such recommendations come from several sources. The first source is their year round time on the ground. The next is feedback from landowners, Association hunters to include non waterfowl hunters who have the courtesy to help others. Recommendations are not drilled down to which field to hunt. Anyone that asks that question has failed to understand the scouting requirement inherent in hunting nomadic layover geese. 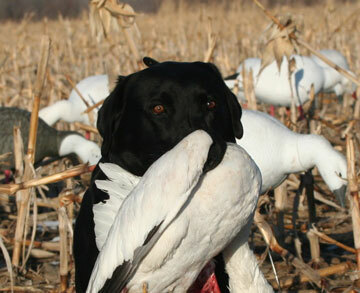 Beyond waterfowl reports and our recommendations of where to hunt it is that eastern Kansas, northern Missouri and southern Iowa has the most land in crop stubble and the most prevalent crop stubble of the more goose attracting corn fields. It is also that north Missouri has the largest reservoirs and waterfowl refuges’. That combined with the Missouri River and the Mississippi River convergence in north Missouri all total gives that region the highest potential for a successful unguided field goose hunting experience. Set up with a tight spread since it was cold facing the northwest with the wind out of the southeast. A single locked up at 100 plus yards and made his move for the decoys. Feet down, wings set…done deal. It was a thrill to sit back and get a point blank shot with the camera rather than the gun. The bird standing on the right is the one that came in. Standing side by side next to an Avery decoy it’s hard to tell which is which.